It has been over a week since I returned home from my respite sanctuary, and with each passing day I want to write and build on my reflections. The reality is that reality has hit home and I am still trying to process the world around me. I want to be able to process it in a new light, one that is based on my greater understanding of my illness and the techniques and reflections that I had during my time away. Reality is not letting me have a bar of it. So I forfeit the timeline approach to accounting what I have been thinking and trade it in for this, the conscious not lineal approach. Days after arriving home, the joy and euphoria slipped out on an evening tide and left me total devoid of spirit. Not even the interaction with my son and wife, who I had longed to be back in the arms of, could halt the fall into realisation that the world around me had not changed, nor had my illness. What had changed was my understanding and my utility belt of tools to deal with it. Now you would think that with this realisation I would simply reach down and pull out a newly acquired implement of knowledge to thwack this depressive train of thought, not so. No I was devastated to face an environment that was void of nursing staff, group times and like minded depressives to lean on. This thankfully only lasted a few days and without fail the unquestionable love of a three year old quickly raised my overall mood. Still I have been bereft of motivation other than the menial daily routine of getting up, taking my son to pre-school and then listlessly making my way through the remainder of the day until I pick him up again. Yes I have ticked things off and yes I certainly am in a better state of mind since coming home, but I still feel as though I have suddenly stepped onto a rather fast travelator and I have no bearings of which direction I may be headed in. I know that I am more focussed on tasks and less distracted than before, but in writing this post it is the first time that I have been able to articulate anything in a while. It frustrates me. I so want to be on top powering towards a more manageable me. Alas I realise once again that I am still riddled with an illness. So here I am once again finding myself trying, almost constantly, to reflect. Reflecting on this life of mine a week after coming home. Home a place that seems to have stayed static in my absence. A place still cluttered with reminders of what has gone before. Rooms still filled with frustrations and unfinished business. I try getting away from the house to gain some perspective. Sitting in a café, it’s a busy window that I look out of the cars and traffic are constant, all oblivious to my churning, confused and battered mind. A multitude of vehicles and people, all, for a brief moment heading in the one direction, there are crossroads and even then one after the other they go by. It’s so fleeting it is a true representation of my trains of thought. No time to give those in front or behind the slightest recognition. If only I could make it all stop and slowly talk to each one, and in turn they could converse with those in front and behind, what sense we would make, but no not today not ever. Look at all these elements of purpose. Well at least to me these people, sounds and moving objects seem to have a purpose. Here I sit acknowledging then yet at the same time wondering and searching for my own purpose, my own reason for setting a course. A course to anywhere would do just so I could stop this blasé drifting of my mind through this medicated fog. I want to train, to refocus this mind and its thoughts, calling on the experience of clarity and focus I felt I had only a week or so ago. Yet I drift. Drift around the seemingly structured world that is ignorant of this peril I am grappling with. I frustrate myself with all this symbolism and abstract view of my surrounds, bent by me in an attempt to articulate the torment this confused mind, but as always I am unable to be practical about it. I am unable to take my analysis of things and apply the seemingly self evident solutions to myself. How do these faces that are passing me by manage to do it? Should I take strength in the knowledge that I and not them have stripped away all the self imposed, self medicating remedies I once relied to hide behind, to appear functional? Or accept that the majority of those passing me by do not have to carry the weight and burden of everyday in the same way as I have to. Is it really just the minority who manage to function unassisted while the rest of us medicate recreate or degenerate as each day passes us by. I listen to the conversations around me, I observe the gestures and feel as though they are all strategising, plotting, manipulating their immediate surroundings and audience jus to make the now and therefore the future bearable, liveable. I no longer feel I have the energy or mental aptitude to do this. That takes conversing, engaging forever working towards the end result of some task, or goal. The process keeps them steady and assured of their immediate direction in life. I feel like taking them and shaking them; screaming out illogical reasons as to why it is all futile, why if it can’t work for me then how can it possibly work for them, tell them till I am blue in the face why the satisfaction they seek is so temporary so useless in its ability to hold happiness. Doing. Doing. Doing. They are all doing something to keep it at bay, to make it go away. I want a day of no regrets. Purpose they all appear to have purpose. What if mine is, is nothing more than to be ill and broken? Well here I am sitting at home with the first full day of a new and structured way of life laid out in all its glory. Managed to update some irrelevant computer programs, faffed around at filing things that really do not need filing and finally logged on to read some of my favorite blogs and get inspired. Success? Limited. I am already realizing the benefits of being shut away in a sanctuary, so few distractions and so much time. I could not have held out for much longer. I always said that when the Doctors thought that I was ready and I agreed then it would be time to head home. Now the adjustments have to start here in these four walls. Not wanting to get too far ahead of myself, as that is usually what sends me backwards in the first place, but curse it I want to feel as productive with my writing as I did over the past few weeks. I am looking for an angle to introduce a more in depth reflection and information relating to some of the diagnosis that I received, but that starting point is avoiding me. I am keen to build on my thoughts of vulnerability Vs power in the depressed mind, but alas that pile of CDs needs filing away. So many things waiting to cluttered a freshly cleared mind that I really have concentrate on avoiding the first old habit, procrastination. A habit that I perfected as way of not committing to an outcome for fear of, well of not getting it done. It sounds so foolish when you actually put into words but that has been the way that this mind of mine has operated for the past few decades. I think I will start mapping out a few ideas I developed last week before burdening myself with thesaurus laden decisions. Since the darker day, that was Tuesday, I have been on a more positive tip. I have started to see the different strings of the cognitive strategies hanging loosely, waiting to be pulled together around a workable solution for my illness. Each day, either formally or informally, the conversations that we share with each other here at the clinic start to form a network of workable thoughts and ideas. This is something that has been very foreign to me over the past few years, I am used to having so many conflicting thoughts always battling for my attention which is followed then by ill disciplined attempts to carry them out all the while the noise of lesser thoughts and ideas are distracting me. I now know it is at this point in me consciousness that the anxiety begins leading to an inevitable slide into depression. I am determined to change, as many people have said to me recently, it will happen in its own time don’t force it. The key areas that I have started to recognise as interlinked are: the concepts of Vulnerability Vs Fear, working towards self acceptance, motivation and emotion and mindfulness. I will attempt in later posts to cover these specific areas in relation to my illness and mental health in general. Listening to and reflecting on the Vulnerability Vs Fear topic, I realised during a group session yesterday that a switch had been flicked to ‘on’ in my head. It came about while we were talking about how at one end of the scale we have Vulnerability (interlinked with Passiveness) and at the other extreme Power (interlinked with aggression) Assertive in the middle which can be where positive relationships are. Personally this is an area I have been searching for over the past few weeks but it has only come to because I have let all other topics follow through, I have then engaged each one separately and in doing so learnt and developed a greater understanding of this illness(es). I have just come to understand what my anxiety feels and looks like. I have begun recognising and picture it not as nervous tension but as a very real physical fear, a vulnerability. It is what I sense when I am about to run away from a task, project or in fact anything that I assume I don’t have complete control over or an ability to complete. It is my mental fight or flight mechanism. For so long as a child and then as a adult in the professional world I have sub consciously developed even invented avoidance tactics, ones so complex to me and so safe that they gave me a sense of power, where in fact they were nothing more than well scripted avoidance techniques. Any of you reading this that went to school with me, know just how willing I was to beat the system, get out of class even out of the school grounds. Here I was taking pride and power in these accomplishments and actions but inadvertently developing a mechanism to hide from the fear, the fear of failing. The first eyelet that I thread this string of hope through is my reflections on the attributes of being a perfectionist. Was I a perfectionist? Was that what I was aiming for, and when I realised that I could not maintain it I developed a fear: the anxiety of failure? Was it then the emotional elements of my personality that was overwhelming the practical side leading me to be unbalanced, missing the middle ground of a wise mind? I see myself as paradox happy at being sad. So good at this state of mind all other options are too painful to imagine. No I am not a failed perfectionist. Eyelet Two: What was my motivation? Were my desires, will and the energy focused on solutions that could in no way bring me true hope of an outcome? Had I learnt the art of failing and applied the perfectionism to this negative/depressive side of my personality. Was my previous coping mechanism substance abuse, applied in order to soften the inevitable fall, the inevitable hurt that came when I found myself feeling unaccomplished? How could I change the perspective on my lifestyle, one that I had seemingly spent immeasurable energy and emotion in building? Threading through the third eyelet, let us turn our attention to the physical and emotional symptoms of my anxiety. How did I manage these symptoms? For so long I had avoided the confrontation of the truth and my perceived understanding and yet again medicating myself in ways that only caused the cycle of physical and mental pain to perpetuate. So I would lower the standard, lower the outcome, lower, lower everything to a point where I do nothing because of the permanent fear and anxiety of failing. Not one thing could I set about doing without experiencing distress either mentally or physically, so I remove the search for sensory pleasure from all aspects of my life that I believed I could not control or had previously failed me. Now into this mix I assess me self esteem as eyelet four. My social persona and inner self sought acceptance through proven competency, built on very material outcomes, very immediate and lacking any true worth. Not too surprising to the reading that after all this personal destruction and berating means I am left with little, again turning to self destructive activities, substances and behaviour in order to give myself some short and immediate hit of happiness. This leaves the bucket so empty of values. Through avoiding the fear and pain of my perceived inabilities, I again inadvertently reduce and rule out many of the values that I had previously set my life to. The depression is my shield, hiding me from accepting that, not only had I watered down many of ethical and moral fibres I had once strived for but I now ridicule myself for disbanding all attempts to understand who I had become. Deep down I hate myself because I have bought nothing to the table, except empty promises. Now I am faced with the connectedness of all these elements, understanding that through changing some of my ingrained cognitive behaviour, the perspective I take of my illness and having a great level of self acceptance. I now see that there is a way that I can positively contribute to managing this illness, a way that may help me reconnect to positive relationship that have been victims of my self imposed emotional isolationism. In writing these accounts I am taking those first steps towards exposing my core self to judgement, but I feel assertive confident in what I am saying and doing, proving to myself that I can focus and complete something that is emotionally difficult. These elements of change are threaded through the eyelets of my being, wrapped around me to provide support, but I am barely strung together. Like a shoe laced so loose it is easily kicked off and slipped on at convenience. This string is weak and as I pull it tighter around me, in an attempt to master this illness I can feel the fibres trembling at breaking point under the pressure. A simple tug of self criticism is all that it would take to snap. Slow, slow, slowly draw them all together, slow, slow, slowly accept the great change that you have committed to. Slow, slow, slowly learn to accept the new and let us not be distracted by the past fears. Slow, slow, slowy. The fact that you are here reading this blog means that you will be aware of the struggle that I have faced over the past year with Major Clinical Depression, most recently having to take respite away from friends and family at Lakeside. The impact on both myself and my family has been immense. It has been the strength of friends family and organisations such as ARAFMI and beyondblue, that has gotten me and my family through the darkest of days. This year I am attempting to raise as much awareness as I can through the Movember movement. It’s one small way that I can show the thanks that so many people deserve. I’m officially supporting the growing club of modern gentlemen who believe in the virtues of fine moustachery, immaculate grooming and growing a moustache for Movember. I am looking for like-minded ladies and gentlemen to join my team to change the face of men’s health. Movember is about raising funds and awareness for men’s health, specifically prostate cancer and depression in men. Close to 3,300 men die of prostate cancer in Australia each year and one in eight men will experience depression in their lifetime. Many of these men do not seek help. The more people I can get onboard, the more lives we can impact. I am asking you to join my team and either grow a moustache as a Mo Bro, or sign on as a Mo Sista to help recruit other gentlemen. 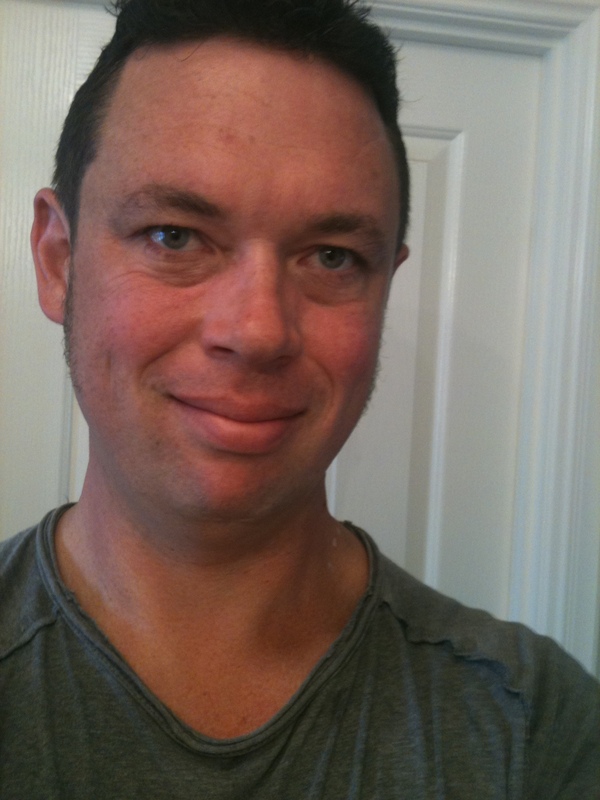 To join my Movember team go to http://au.movember.com/register/84996 and follow the steps. Once registered you’ll be sent all the information you need to raise funds and start growing as part of my Movember team. If you’re interested in learning more about the work that is being carried out as a result of Movember funds, feel free to read the details at http://au.movemberfoundation.com/research-and-programs. I have a huge weight of anxiety and stress burdening me today. A morning that felt good has unfolded into a day of unsure thoughts and sadness. I am unable to take my focus away, its haunting and permeating all my thoughts it is debilitating me. In applying techniques of mindfulness I am able to sense a minute point of positive in a mind that is otherwise wandering aimlessly and frustratingly through despondent thoughts, sadness lingers like a sky of grey cloud, unwilling to rain or give any warmth of the sun. I worry. I worry in a way that is far more emotional than rational as it lacks structure, meaning or form. The weight on my soul is heavy as I attempt to look away from this frustrations point of neutrality. Look back, no sign. Look forward, nothing. Where has my sense of hope gone, swept away, help hostage by the sadness. I will myself into changing my perspective of the now, but no this moment remains so forlornly neutral, still the grey presides. It feels to me as though two weeks of proactive cognitive steps that I have been applying in the attempt to retrain the thought processes of my mind, have been wasted. I hold a very real and immediate feeling of failure. The knowledge that this day will pass is there, however distant, the last barrier between me and black lying below. Such is my harsh reality. I’m shaking, shaking with sadness, a self perpetuating sadness, a sadness that manifests itself with wild irrational thoughts of self loathing and hatred. There I was only hours ago trying to find the words to articulate how I saw this healing process progressing , how I dared dream of focusing on words that encouraged you, the reader, into believing that there is an end point to this tale. A place in the future tinged with hope and happiness. Now read again these words above, can I see a sense of hope or direction? No just some foul pool of sorrow lying there stagnating in a scared mind. Mine is a mind that seeks pity, but that pity is being misconstrued made to seem so contrived so twisted by this illness. It wants me to just crawl away and hide at such conceitedness only offering me respite in the great clichés with which it encourages me to flay myself. What a waste what a fool, pleading for contentment and happiness how can I have such demands. Wretched beast, poor forlorn soul. Worry, just worry, it is an art that you master so well. A mastery that bring tears of sympathy and compassion, tears that this emotionally muted scribe does not feel he deserves. Shaking. Hating. Hurting. No sugar coating here. Where is the predictability? Where is that certainty that lends itself to those who manage hour to hour day to day in controlling this tightrope of curdling emotions? I want it, I want a feeling that it is there. Yes, that’s right, go and reflect try to remember what positives you have already felt and shared this week. Right now, does it matter? Of course not how could I let it, and therein lies the predictability. So assured that this mess of feelings is what I know best. How, how can I remember how the good things were. Even with the great strength of those supporting me in the here and now I can muster no more than a sullen emotion of ‘whatever’. Tomorrow, well that’s predictable is it not, that’s the time of false hope and dreams tied down and spat upon by this filthy illness. It lingers like a malignant cancer unwilling to give me back to the world. It knows that I am safe in here safe for it to continue its ravaging war of destruction of my self-worth, my self-acceptance and my soul. In here I pay it such attention, all my energy focused on its defeat. It is selfish and hateful unwilling to surrender as it knows, it fears that this battle is its final chance to etch its mark on my history. You Dictator, agitator, liar and thief your judgement deserves nothing but a solitary hell devoid of thought. A place so numb and empty no soul can survive, let a darkness descend so heavy so poignant with detest of your trickery that nothing, not even the stillness could utter your name. Die you Black Dog. Just die.